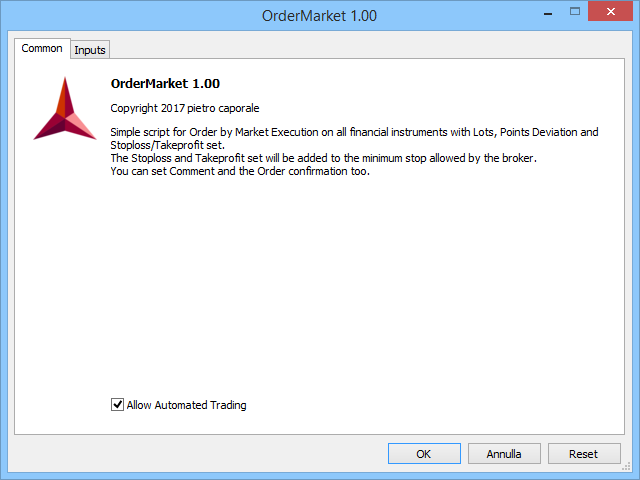 Simple script for Order by Market Execution (only Buy or Sell) on all financial instruments. If you leave false or true both an error will be reported. Maximum deviation from quoted price in points. In points value, be careful that this value will be added to minimum stop allowed by the broker. For example if you set 30 points on Copper Future as Stoploss this will become 145 points: Stoploss 30 points + Spread (15 points) + Copper StopLevel (100 points). The Spread and Stoplevel value depend on your broker features. 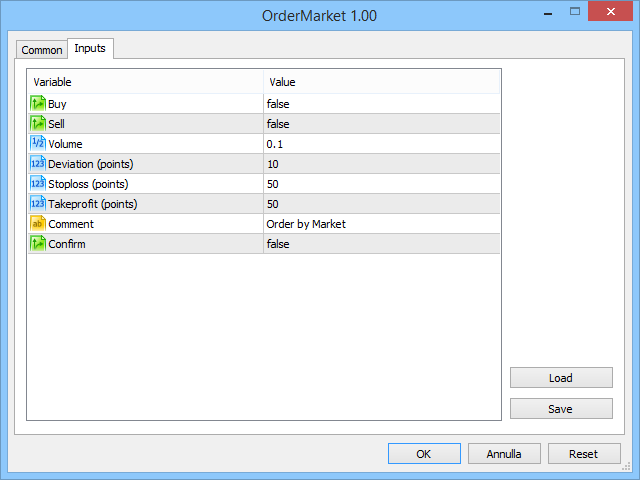 By default is set Order by Market, but you can write any information about your trade. If you set true (by double click) a window will appear with trade information through which the operation can be confirmed or canceled.